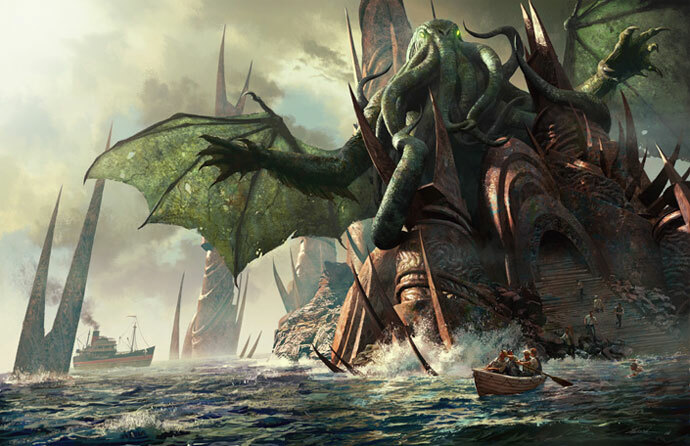 This full-color volume collects the best art from Fantasy Flight's acclaimed Call of Cthulhu collectible card game, as well as from 25 years of Chaosium's legendary line of Call of Cthulhu role-playing game products. In these pages are glimpses of the most terrible beings ever to exist, whose very names are spoken of in whispers, if at all: Mighty Cthulhu, Yog-Sothoth the Crawling Chaos Nyarlathotep and He Who Shall Not Be Named. Strange and alien races swarm here: the Fungi From Yuggoth, the star-headed Elder Things, the slithering Formless Spawn and awful chthonians. The Art of H.P. 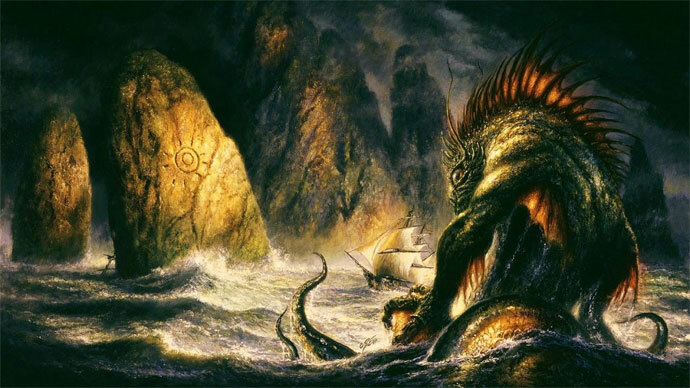 Lovecraft's The Cthulhu Mythos contains hundreds of full-color pieces of art, from fan favorites such as Patrick McEnvoy, Michael Komarck, Jean Tay, Thomas Denmark, John Gravato, Aaron Acevedo, James Ryman, Felicia Cano, Linda Bergkvist and dozens more. Once you see these blasphemous visions, you will never forget them.